Turkey could be the next emerging market to fall into crisis. The Turkish lira has dropped 2% against the US dollar since the country's central bank shocked investors on Tuesday and left its key interest rate unchanged at 17.75%. The currency has now lost 27% of its value this year. Economists had been expecting the bank to hike rates to fight inflation, which topped 15% in June. Many observers said the unorthodox decision showed that President Recep Tayyip Erdogan, who supports lower interest rates, has increased his influence over the central bank. Tim Ash, an emerging market economist at BlueBay Asset Management, said the decision was "incomprehensible" for a central bank that says it "cares about inflation." Emerging markets around the world are under pressure, but analysts warn that Turkey is particularly vulnerable and may now be heading for a currency crisis that could require a bailout or limits on the amount of money leaving the country. President Donald Trump threatened on Thursday to impose "large sanctions" on Turkey over the imprisonment of an American pastor, a development that threatens even more economic pain. Investors have flocked to the United States in recent months, attracted by rising bond yields and a stronger US dollar. The shift is causing damage across emerging markets, and Argentina was forced in June to ask the International Monetary Fund for a $50 billion bailout. Turkey has emerged as another major risk. 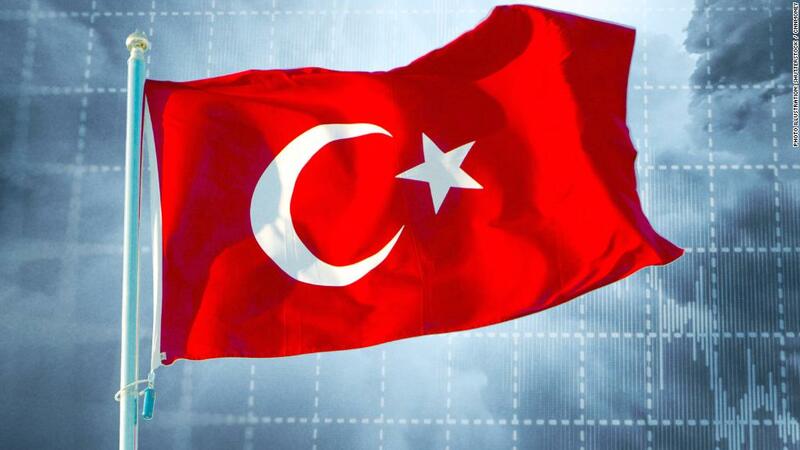 The Turkish economy grew 7.4% in the first quarter compared with the same period last year. But its growth in recent years has been fueled by construction financed largely by foreign investors. Investors worry about the country's ability to bring in money during tough times to pay off its debts. Erdogan, who was re-elected in June, is another source of uncertainty. He has granted himself more power over economic policy, and installed a relative as finance minister. Mujtaba Rahman, managing editor for Europe at the political risk consultancy Eurasia Group, said that the Turkish government needs to keep its spending under control. If the finance minister fails to deliver a credible message, he said "the risks of a crisis — and ultimately, an IMF program — will certainly be on the rise." Ash said the central bank should move to get inflation under control before the situation becomes an outright emergency. "It is possible to imagine a scenario where the IMF get involved," Ash said. "But we may be some way from this yet ... the Turks still have the policy tools to steady the ship themselves, should they choose to use them."